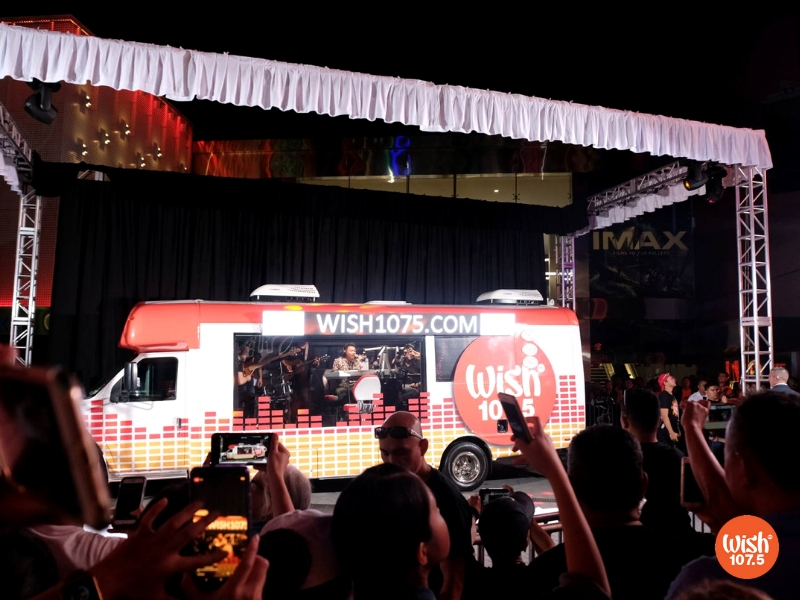 Wish 107.5 has set a new milestone after successfully launching the Wish Bus USA on September 7, Friday (September 8, Saturday, in Manila) at the Universal CityWalk Hollywood in Los Angeles, California. The Philippine FM radio station and its innovator, Kuya Daniel Razon, have drawn praise and gratitude from artists for bringing the one-of-its-kind musical platform to the world’s entertainment capital. “Kuya Daniel, thank you so much for this gift that you’ve given us Filipino artists. This is a huge platform for all of us. We wish you all the best. More power to Wish 107.5 and the Wish 107.5 Bus,” guitar virtuoso and OPM rock icon Perf De Castro shared in an interview. De Castro was one of the performers who graced the unveiling in Hollywood. “Just to be a part of this major milestone in your career, and in our careers as well, is a very humbling experience,” they added. 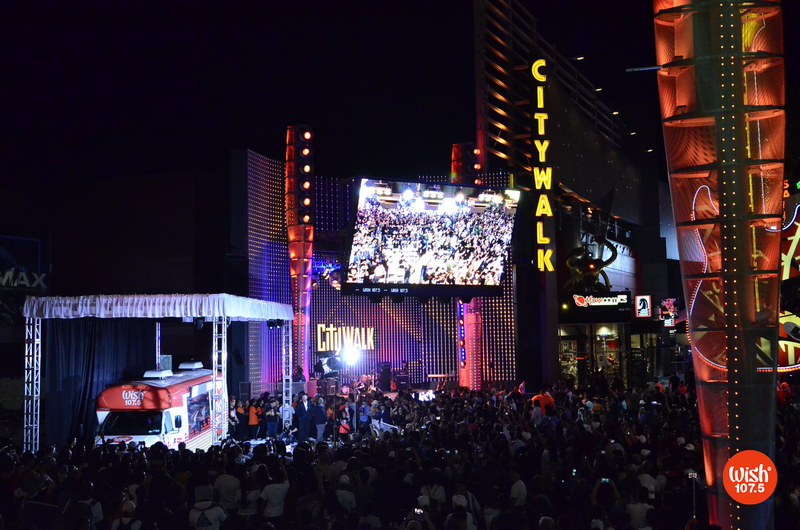 A huge crowd of Wishers and spectators gathered around the Wish Bus USA, which was launched on September 7, 2018 (PDT) at the Universal CityWalk Hollywood in Los Angeles, CA. The latest breakthrough of Wish 107.5 has also earned support from netizens and music lovers from across the globe. “The Wish 107.5 Bus is such a unique way of delivering music to the world. It really sparks the interest, [and] people are very intrigued about it. And for me, I think, Wish 107.5 is in such a great position to lead the way music is delivered to the public,” UK-based YouTube vlogger Dan Evans enthused. On Twitter, Wishers used the hashtag #TheWishBusLaunchHollywood to help create buzz about the historic event. “History in the making! The first-ever FM radio station on wheels, Wish 107.5, goes to Hollywood!,” Twitter user Rowena Lazaro exclaimed. Ben Tilbe, on the other hand, revealed his wish of seeing international acts like British artist Dua Lipa perform on the Wish Bus USA. For the outpour of messages sent in by the fans of Wish 107.5, the hashtag has hit the 7th spot of the Philippines trends list. “Above all, we are thankful to God for allowing us to walk this extra mile. And now that we have reached Hollywood, we are looking forward to be moving a notch higher again. We are planning to move not only here in the US, but in other parts of the globe [as well]. The next stop that we’re looking at is the Middle East,” he further revealed. Apart from the main event in Hollywood, which also featured performances from DJ Robin Nievera, Annie Nepomuceno, Michael Keith and Michael Regalado, a counterpart Wish Bus Launch party was also held at the Eastwood Citywalk in Quezon City.